The fact is, Attorney General Loretta Lynch was following orders from the White House. 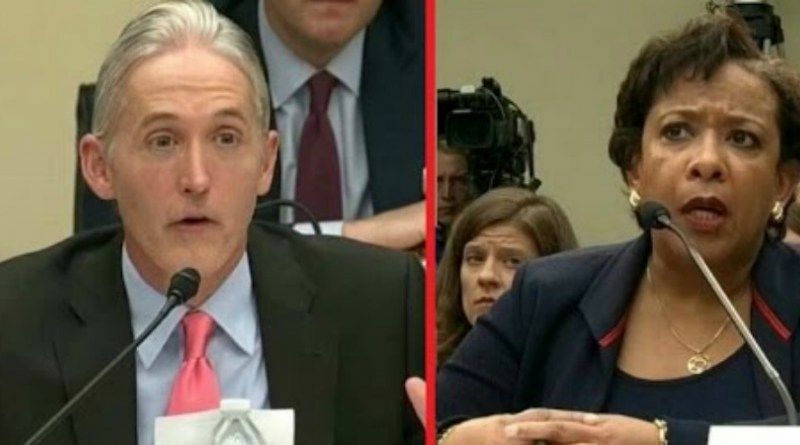 Ever since the Federal Bureau of Investigation gave Hillary a free pass, Trey Gowdy has been assailing Attorney General Loretta Lynch with criticisms as to why she allowed this miscarriage of justice to happen. On Friday Internet Sleuth Kim Dot.Com dropped a bomb on Twitter. Kim posted an email showing Loretta Lynch using an alias to contact DOJ officials. 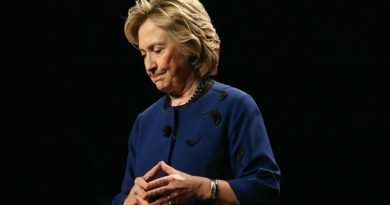 The Department of Justice released hundreds of emails to the American Center for Law and Justice (ACLJ) this week in the investigation of former AG Lynch’s secret meeting with former President Clinton, The Gateway Pundit reported. 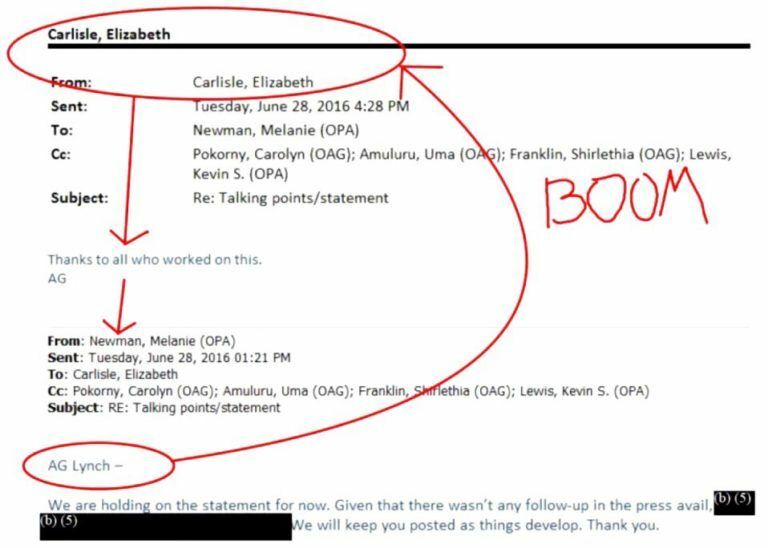 One email shows Loretta Lynch hiding her identity from Department of Justice officials. Kim DotCom asks readers to find out more on Lynch’s alias “Elizabeth Carlisle”. 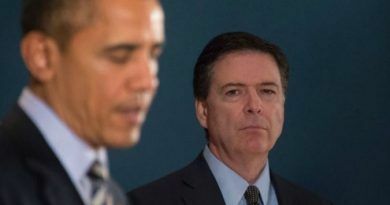 It looks like the deep state forgot to cover that up in the emails they released to the ACLJ. Reddit The Donald users discovered that Loretta Lynch used her grandmother’s maiden name “Lizzie Carlisle” as her alias. Loretta’s grandmother’s name is Lizzie Carlisle Harris. Loretta’s mother’s name is Lorine Harris Lynch. AG Loretta Lynch told Rep. Trey Gowdy (R-SC) under oath that she only uses official email in November 2016, after these above emails were sent. That was a complete lie under oath. Loretta Lynch committed perjury! This woman’s’ scripted answers, or non-answers, show she is unfit to have anything to do with justice. 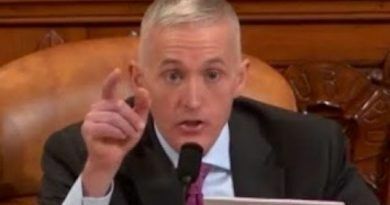 Mr. Gowdy is what we need more of in Washington. He is a warrior fighting to keep our constitution alive! This guy understands what it means to be elected by the people and that he works for all Americans. It’s nice to know there are some people who care for us and our loved ones.